Chix-a-Lot Friday: Handsome devil, or just a devil? Mama sometimes says that when she calls me a handsome devil, she doesn’t mean that I should actually act like a devil. I don’t really get what that’s about, but she sits me down every now and then and says those words. Maybe I need to pay better attention. So remember how all week mama has been making a big deal about my foster brother Dude’s heartworms, and how they made him real sick? 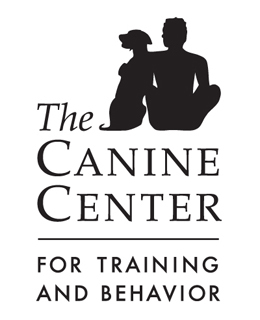 And how he is also very anxietated when they leave, which is extra super dangerous because it makes his face drool and his heart go thump-thump-thump and it makes the headboard turn into sawdust, and I guess drool and thumping and sawdust are Very Bad when a dog’s heartworms are being killed? Well. Mama and some of her big-brained dog loving friends got their heads together and thought: we wonder if that Dude were allowed to be together with that handsome devil (not actual devil), if that would help the Dude not feel like he has to thump-thump his wormy heart and make sawdust on mama and dad’s bed and leave big foamy puddles of drool by the doors and windows. So they tried it. Now friends, you have to understand that this is a really big deal because even though I am a very good boy, I am also a handsome devil and so mama doesn’t normally ever leave me alone with any of my friends or frienemies, in case something happened to go wrong. But I guess I’ve been seeming extra trustworthy recently or maybe the Dude seems extra get-along-with-able, because she started leaving us alone together for a few minutes, then an hour, then two. The first time, we were very good boys. The second time, we were very good boys. The third time? Some of you remember when I admitted my former baking habit — I also have a garbage disposal habit, which mama says is related. I thought I had quit it, but it’s just so hard, especially when there’s a youngster around who needs to learn the ropes. How could he ever become a proper housedog without knowing the secrets and smelly wonders contained in a kitchen garbage can? Well wouldn’t you know, mama and dad sure were surprised when they walked in to the house and discovered this masterpiece in the kitchen. Mama started laughing so hard that she almost fell down, and dad just kind of stood there — but he started laughing too when the Dude trotted into the kitchen and instead of looking kind of bashful and confused like I coached him, decided to go right back to work on the masterpiece. Silly Dude. And before I knew it, mama invited us to go outside, where we had to stand for a good, long while. That is AWESOME! Perfect start to my day…. bahaha! I LOVE Chick’s face so much! He must make you laugh all the time with that serious expression, haha. So what does this mean for leaving them alone together again? Are you still going to do it and “secure” the trash somehow? Once upon a time, I came home to find that our less than a year old Great Dane had decorated the kitchen with everything that was below the counter tops. Bags of flour and dutch baking cocoa had been ripped into, turning our floor into some kind of abstract art design mixed with all of the messy, wet yucky stuff that had been in the garbage can. It does seem to work its magic on dogs of all shapes and sizes, doesn’t it? And, from the looks of things, it seems that the doodle-bug has stumbled into a great stress reliever. More garbage, please! Priceless!! I look forward to Chix-a-Lot Friday every week! So perfect in so many ways! Haha i SO needed that laugh today…thanks! LOL oh Chick, I’m afraid those ears give you away, my friend! And Dude…oh you just made my morning. What a coincidence. It looks like we had the SAME problem yesterday with our pups. It’s can get so frustrating, but I keep reminding myself that he can’t help it that he gets anxious when we leave. Silly boys! I love Chix-a-Lot Fridays! Oh my goodness – those photos are priceless! Perhaps you’ve hit on something that the medical community has completely overlooked – dumpster diving as a stress reliever for heartworm treatment, lol! Bless you for ALL you do and for having such a wonderful sense of humor! Like many others, I found this blog when it was Freshly Pressed. It couldn’t have come at a better time and I LOVE it. I’m a huge dog person but have never actually had one. When I found your blog I was in the process of trying to save a shelter dog (a pit) who was otherwise going to be put down. Unfortunately the shelter screwed me over a bit (pardon the bitterness), but the dog does now have a home, just not mine. Reading your stories and seeing these wonderful pups makes me smile every day. I’m still looking and hope to find the right dog soon (still a rescue of course!). I love to read the Friday posts from Chick, adorable! Just clicked back to read about his love of baking and of course it made me SMILE. haha … it’s always so hard standing at the door and giving mom and dad take THEIR turn at playing with the garbage! I agree with the others….Chick’s face is so expressive. Don’t know how anyone could stay mad at him. 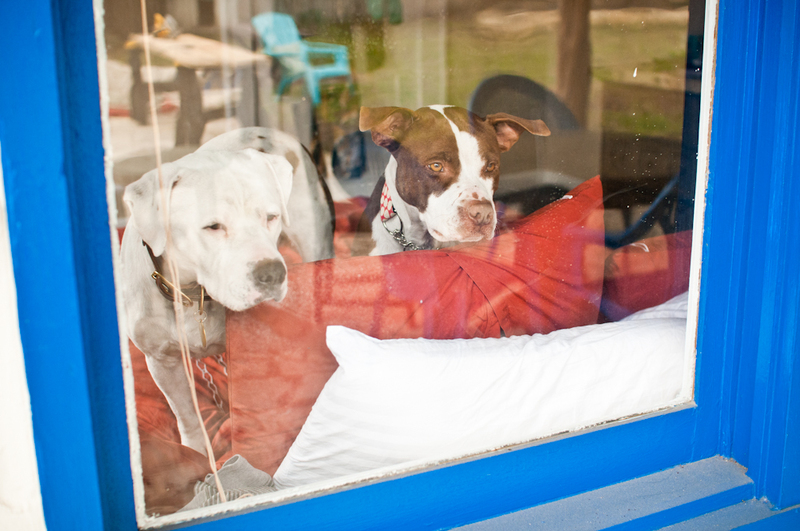 It’s good that you’re able to leave them alone…together…but I guess there’s more pup-proofing to be done. Just got home from Starbucks and Honey the wonder dog had gotton into the trash. My kitchen looked like yours! These two are partners in crime! HAHAHA! This cracks me up. It’s pretty good when you can laugh at these moments. =) I know I usually do! I want to get one, for when I start allowing my dog to roam the living room and kitchen, while we are gone. Maybe I would have a chance of stopping her from doing something bad, by calling home and talking to her through the answering machine. You’ve got a regular Paula Deen (sans diabetes) and Bobby Flay in your kitchen! Bravo to you guys for fostering a needy dude – he will flourish in your home. We’d love to foster, but our boy is very picky so we’ve got to find just the right fit! Until we’re ready, I’m going to keep reading your blog and picking up foster tips and tricks. 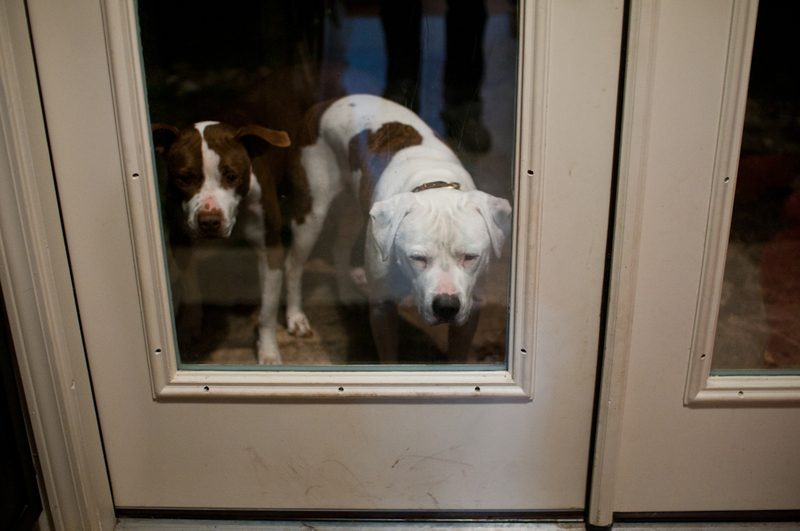 that last photo is EXACTLY what my pitty does when we “invite” him outside for a stand. my sheepdog growing up, on the other hand, used to put her forehead against the cabinet that held the dog cookies. that’s where she liked to stand. oh, mr. chick. too cute. 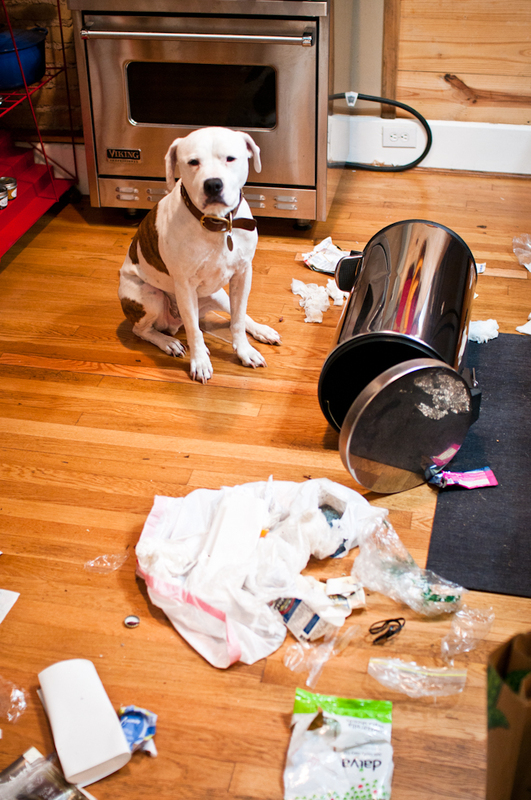 Dogs are never cuter than when they’re naughty, are they? So cute. I need to get into fostering!! how did mom get that trash all over the floor? Oh, my! 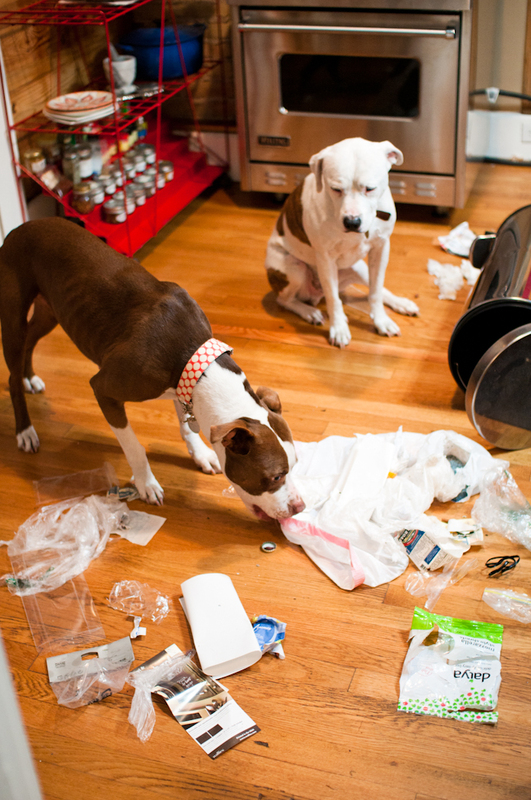 What a mess … but how could you ever be angry with two such cuties? Hahahaha. You can see it in his face! They are so adorable! They are like children! I love how they look so guilty standing outside. I know a couple of dogs with those very same habits! They must be hard to break, but sounds like Chix did his best to show Dude the ropes in style!